ANDY Murray has proudly shared an X-ray showing his new metal hip, following surgery in London. 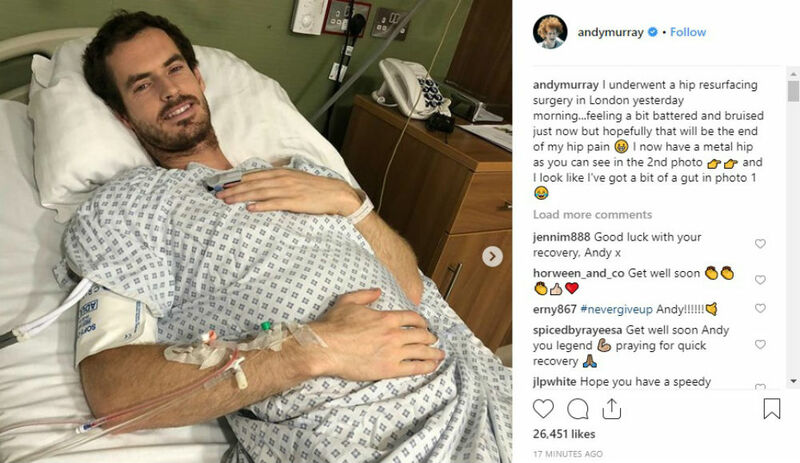 The two time Wimbledon champion posted on Instagram this morning showing photos of him lying in a hospital bed. 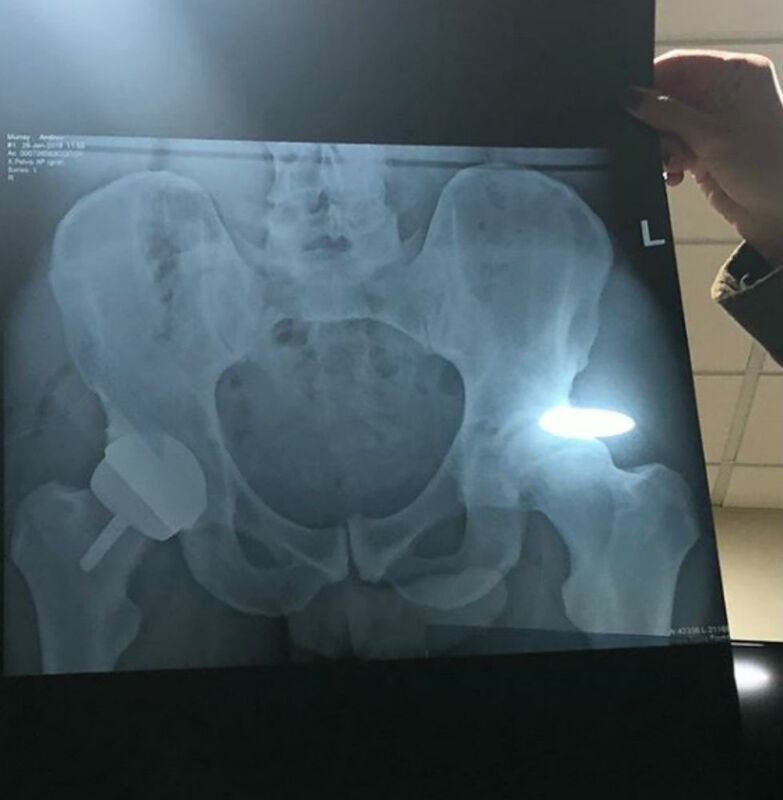 He also posted an X-ray image in which his metal hip socket can clearly be made out. 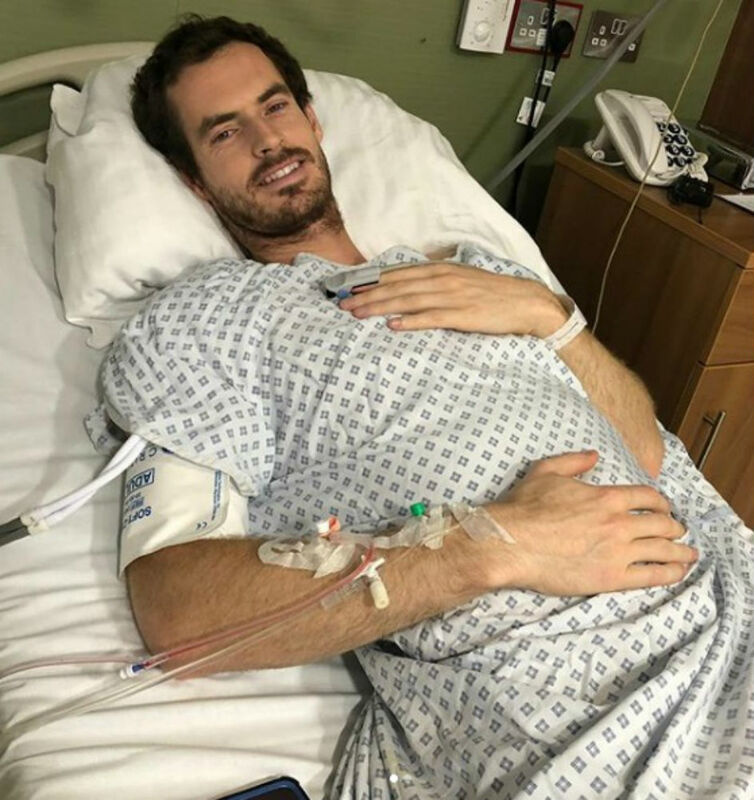 The star, who is due to retire as a direct result of the hip pain he has endured for years, posted: “I underwent a hip resurfacing surgery in London yesterday morning…feeling a bit battered and bruised just now. Murray can be seen lying on a hospital bed after a successful surgery smiling at the camera.